Mid-Nebraska Community Foundation serves charitable people and helps nonprofit organizations and projects. The Community Foundation administers and invests charitable funds to provide grants to nonprofit organizations. Each fund has its own charitable purpose and specifications, typically established by the original donor(s). Each year about $1 million is paid from these funds for grants to worthy causes. Each Grant Fund can be specified to invest for long-term returns or for short-term returns depending on the time perspective and investment risk tolerance. We are pleased to announce that approximately $105,000 is available during the 2018-2019 school year for grant awards from the John Russell Applegate Fund for Teachers for training and support of K-12 teachers in West Central Nebraska. Click here for more information about Applegate Grants for Teachers including access to guidelines and application form. If your non-profit organization qualifies to apply for a Betterment Grant and is considering applying for a grant to help a qualifying project, please contact our office to discuss the project. 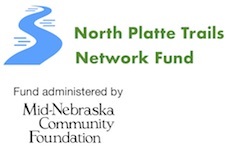 The Community Foundation considers applications that promise to make significant and direct contributions to people in the North Platte area in one of the following fields of interest: community development, culture, education, environment, health, or human services. 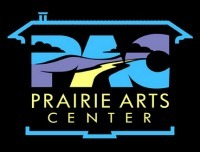 Grant application deadlines are: January 15, April 15, July 15 and October 15.